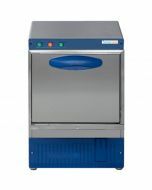 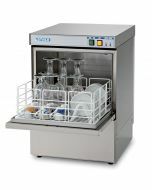 Made in Germany, the Hobart Ecomax F504 is a high-performance commercial Under counter dishwasher ideal for use in small restaurants, bistros, pubs and more. 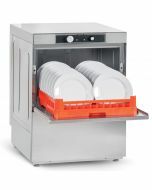 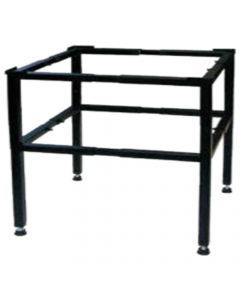 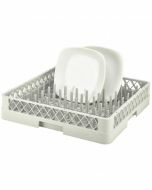 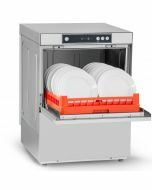 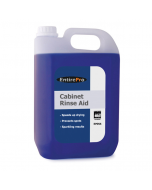 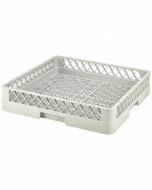 Highly practical, the dishwasher can effectively clean up to 60 racks of crockery or cutlery every hour - perfect for busy sites. 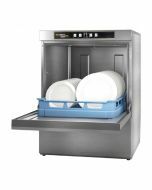 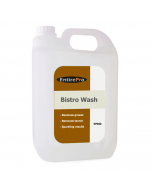 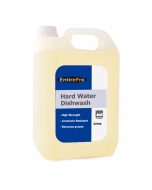 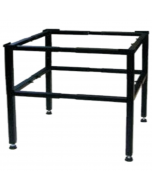 Energy and water consumption is limited to reduce running costs, whilst built-in self-cleaning programmes promote high standards of hygiene. 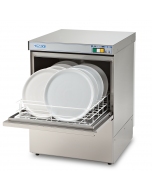 For further flexibility, the F504 is fitted with an integral water softener which allows positioning in hard water areas.